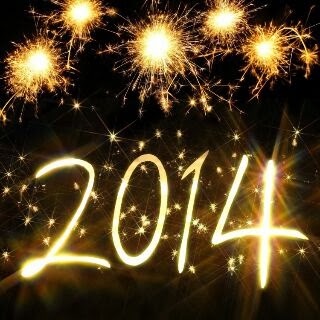 Hey Sweets, its 2014!!! Happy new year to you all and i wish you all a blessed and fufilled year in Jesus name. I sincerely pray that God almighty grants us all our heart desires. I know that some people are seriously hating me right now because I've been MIA for a while. I'm sorry my dears, its a long story that i will tell very soon. I actually planned to resume blogging last month, but i changed my mind to make it fresh this new year. I thank God I'm back now, so lets get cracking!!! If you want to lose weight this year and you haven't made any plans or you are yet to tune your mind to weight loss, its not too late o, today is just 3rd, there is still time. 'Better late than never' they say.This time last year my baby was just a week and 2 days old and i weighed about 112kgs. I knew i had to lose weight, i wanted to, but the issue was that i had not told myself the truth. I was speaking with a friend yesterday and she was complaining about her arms and how much weight she had added this festive period, next thing she said was that she had not 'tuned' her mined to lose weight yet. Did you notice the key word? And i told her that she had answered her own question, So until one tunes her mind to that channel or someone tunes it for you, the fat lives on. As i was saying it took me another month to realize that, and the fact that i had no clothes that fit me, i couldn't go out, i was ashamed of myself, i had pelvic pains, i had knee pains.....i tuned in, i knew it was TIME. Before i started on the 1st of February 2013 @ 109kg i ate all the sin foods i could find, i ate to my hearts content because i didn't want to miss out on anything lol. Once the day came, i prayed to God for strength and today i am a better person. I am not perfect, nobody is, but we must try to make best of the life that God has given us. So Fix your start-up date now and get ready, tune in your mind, body and soul, nothing and nobody can stop you. i trust you will reach your goal by the end of this year. May God gives us all the grace to stay fit and healthy this year, to lose the amount of weight that we need to stay healthy and strong for our kids and loved ones In Jesus mighty name i pray. Amen.